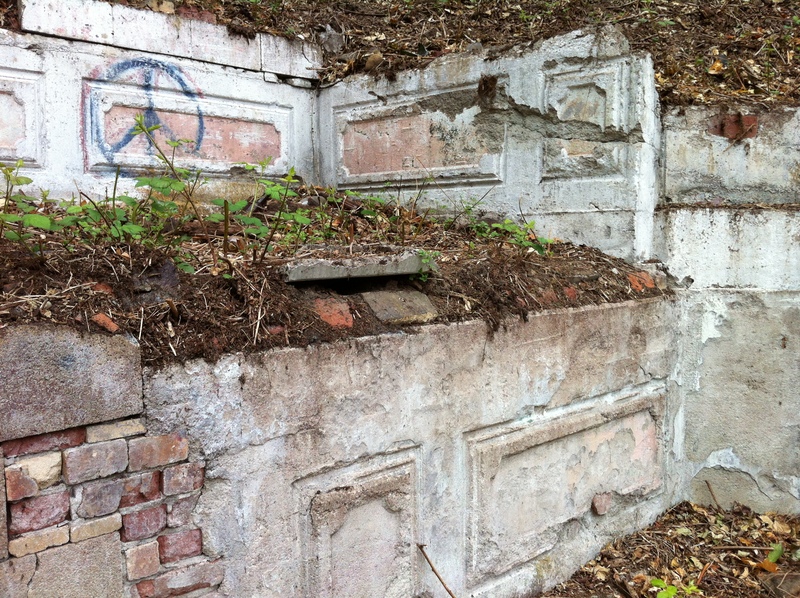 Recent removal of heavy vegetation at the corner of SW 18th and Mill St. Terrace has uncovered this partial foundation. 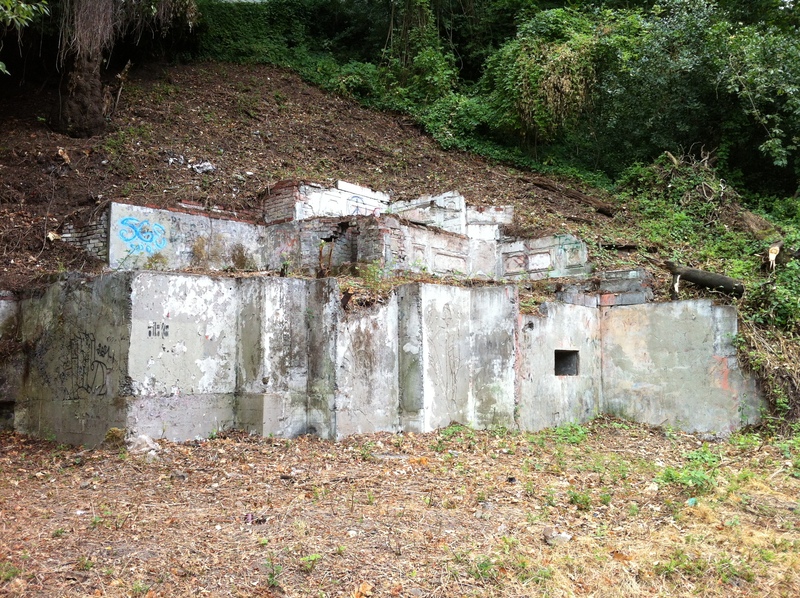 Could this be part of the old Portland Cable Railway that ran up the hill to Portland Heights? 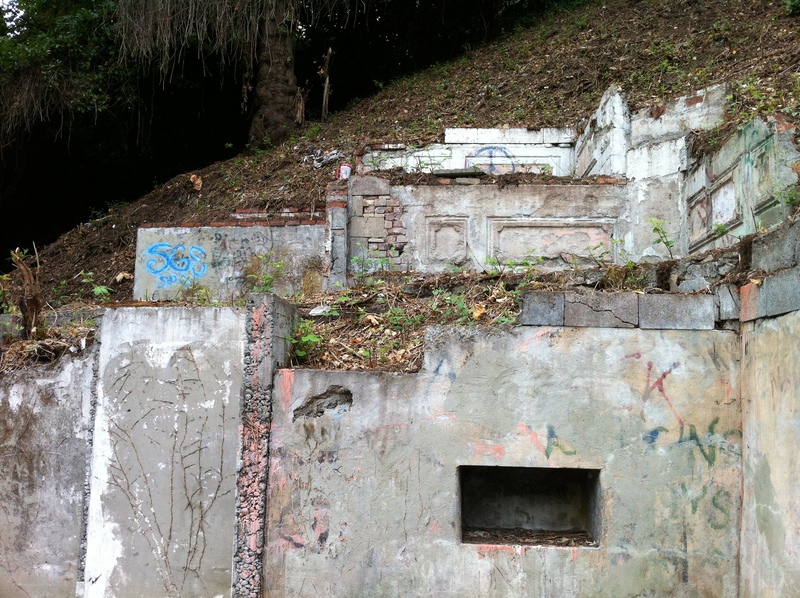 It’s a interesting site, showing a mixture of brick and concrete construction, and there’s an almost buried curved staircase visible. 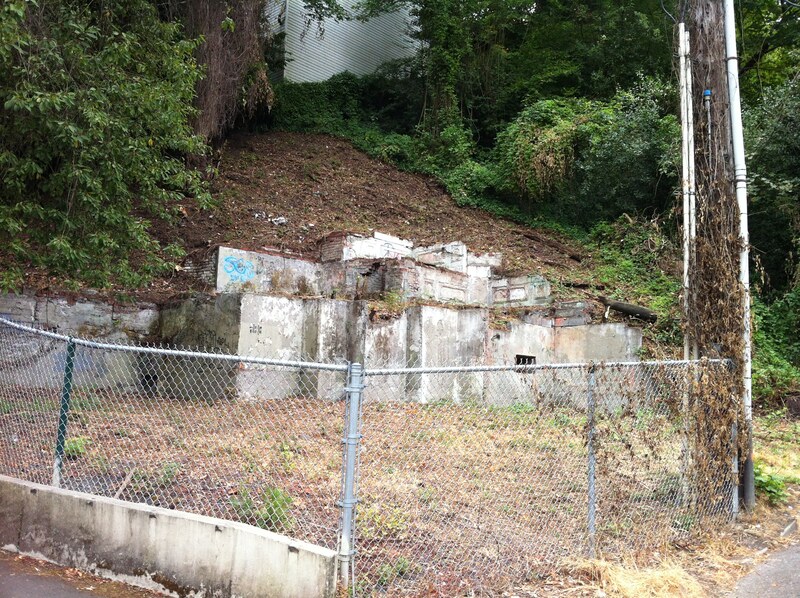 For all you urban archeologists out there, now is the time to get exploring as vegetation removal could be the first step in development of the lot. Be careful out there and remember, this is private property. 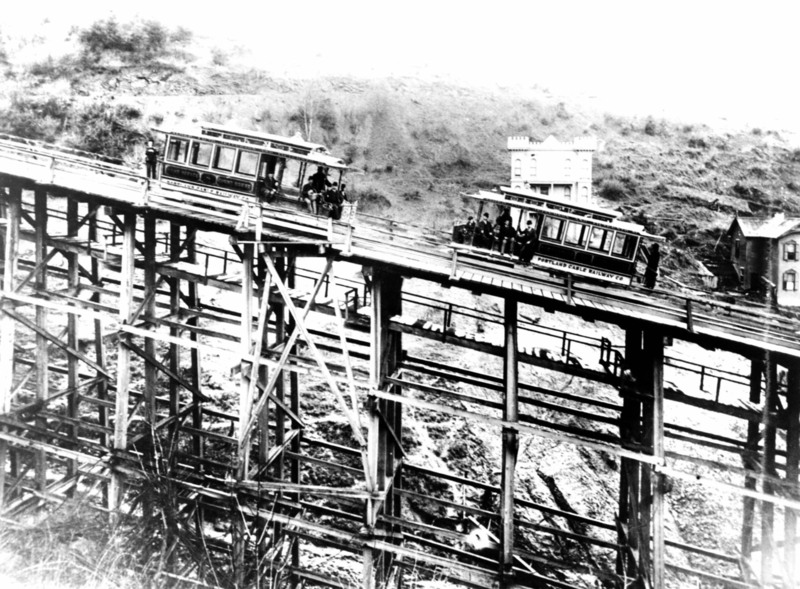 The Portland Cable Railway Co. operated this cable car trestle as part of their overall Portland Heights line in the 1890s. 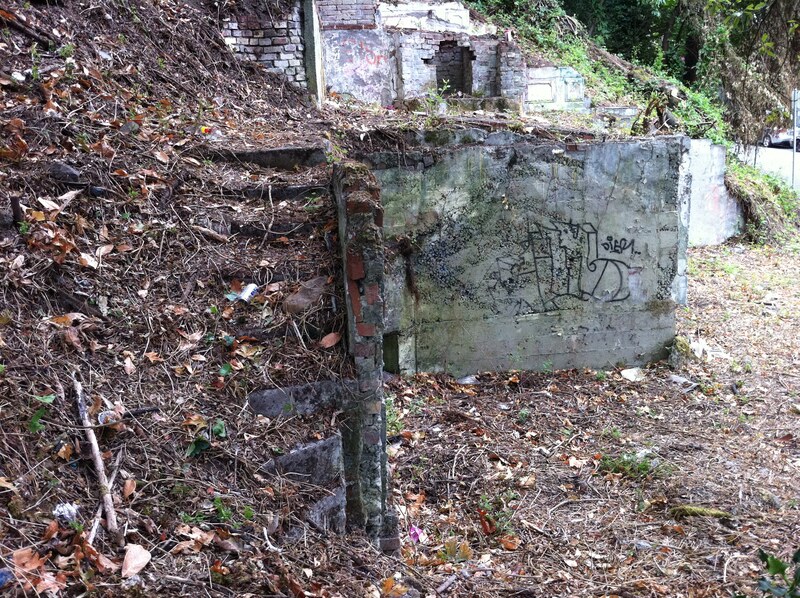 The wooden trestle ran from the powershop at SW 18th & Mill (now under US26 just east of the tunnels) south up the hill to 18th & probably Jackson St. in Portland Heights. From there it traveled up 18th to Spring St. Power lines essentially trace the route today. The house at right center in this photo still exists; it’s the 1891 Alice Druhot house on SW Cable St., a block to the west of the trestle. Read more about the Portland Cable Railway Co. here. Thanks to VP fan Roxanne for the tip on this post.